I have created this site to publish free sheet music for Treble/Alto & Descant/Soprano Recorder sheet music in Pdf format. These are my own transcriptions, and the print quality is of professional standard. Many of the transcription will be familiar to you, but I will also include many pieces new to you and rarely found on free Internet Recorder sites. All transcriptions will be from the public domain, so you will be able to perform them publicly. I do hope you enjoy playing them. This is wonderful! I’ve been wanting some more advanced soprano recorder music, & I found quite a number of pieces. I was overjoyed when I found Jesu Joy of Man’s Desiring. I want to play it for my mom’s 90th B’day in Aug. You really made my day. I’ll be back! You’re doing good job. Thank you – I really appreciate it. 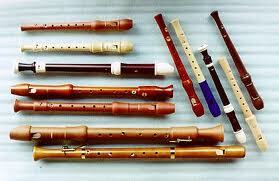 Few years ago I also founded site for begginer and intermediate recorder players. I publish my own arrangements for recoder solo as well as small ensambles. Site in in polish but you can easy recognize song titles. Thanks–this is wonderful. And I’ve enjoyed PdfMinstrel too, as I’ve taken up ukulele and your lowG music is terrific. Hope to meet people to play recorder and/or ukulele with. Having taken up the treble in later life….. I guess I’m at about grade 3 …..having lessons but with no desire to put myself under the yolk of exams ! I have got through the Handel f major…..and am working at the Telemann f major…..and other pieces…..none at official speed !!….. Are there unaccompanied pieces at this level you would suggest to look at ?? I know of the Telemann Fantasies…but sound too advanced. Thank you for sharing your transcribed music sheets! Your site it really useful for people like me. Thanks again. Thank you for sharing your transcribed music sheets! Your site it is really really useful for people like me. Thanks again.